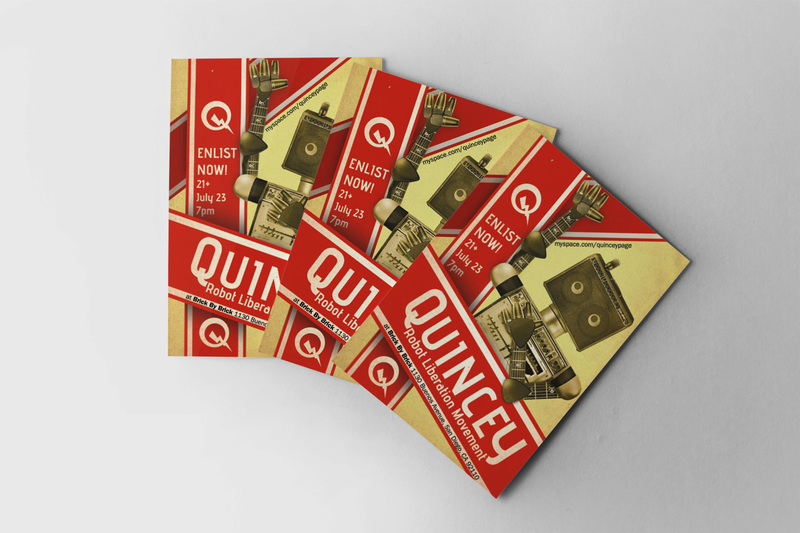 About: Back in the day there existed a unique band by the name of Quincey. Why they were named that is lost to time (this was back in the MySpace days after all). But what I do know is that they were fun working with. 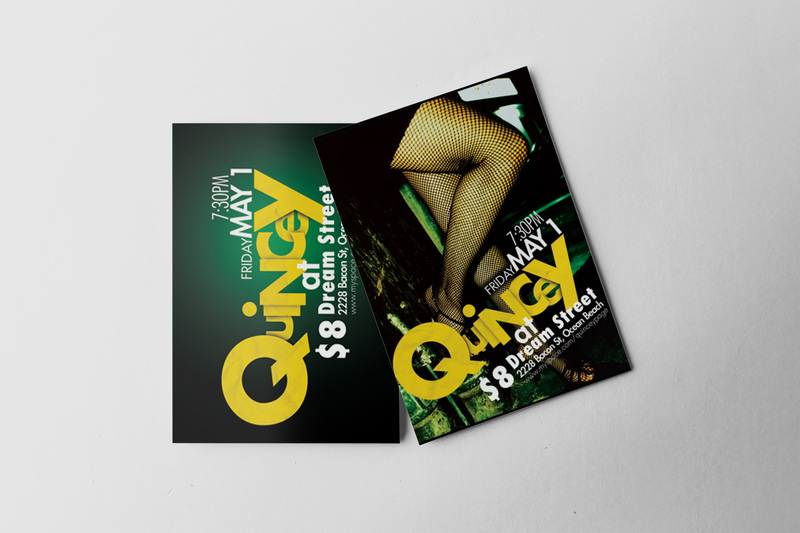 I designed their first flyer last minute and they really liked it. 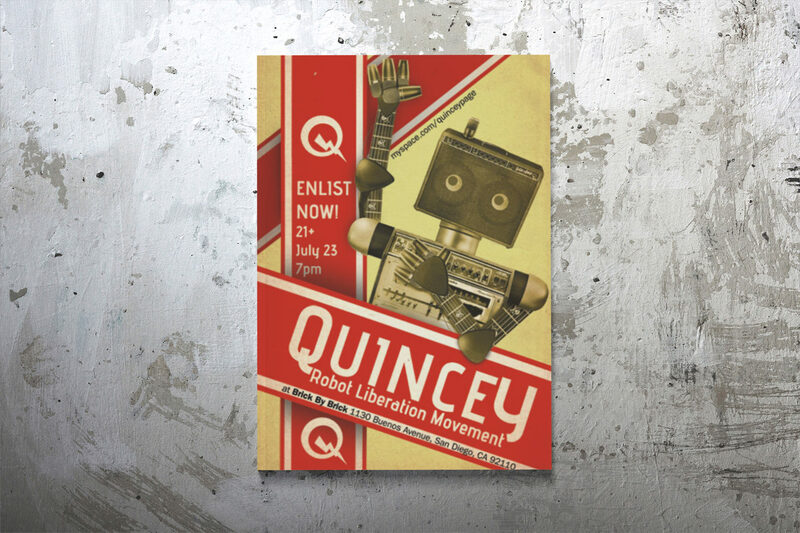 So, with their upcoming mini San Diego tour, dubbed the “Robot Liberation Movement,” I was luckily given a little more to time to conceptualize. I decided to work in an updated propaganda style and build a robot leader out of band equipment. If you look closely you will see that the robot is built out of amps, pics, microphones, and guitar parts. These were printed as posters and flyers. Long live the Robots.